A Michigan judge ruled in favor of Flint residents who filed a class-action lawsuit against the state and state officials over the city’s lead-contaminated water, rejecting a motion to dismiss the case entirely. LANSING, Mich. — A Michigan judge ruled in favor of Flint residents who filed a class-action lawsuit against the state and state officials over the city’s lead-contaminated water, rejecting a motion to dismiss the case entirely. 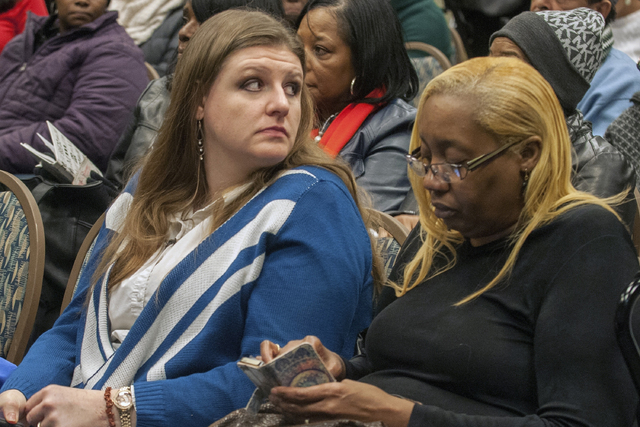 The ruling made public Thursday is the first major decision to be issued in a slew of civil suits stemming from Flint’s ongoing water emergency. It lets the plaintiffs proceed under two constitutional claims: a violation of their right to “bodily integrity” and inverse condemnation, by which they are seeking compensation for plumbing damage and reduced property values. The suit filed in January alleges that state officials caused and covered up the growing public health threat posed by tap water that was improperly treated after a 2014 switch to the Flint River while the city of nearly 1000,000 people was under state management, leaching toxic lead from aging pipes into the supply and exposing people to deadly Legionella bacteria. Boonstra did throw out two other claims against the defendants, who include Snyder, former Flint emergency managers Darnell Earley and Jerry Ambrose, the state of Michigan, and the Departments of Environmental Quality and Health and Human Services. He rejected an argument that the counts against the managers should be dismissed because the Court of Claims handles cases only against state and they were local officials. Earley and Ambrose “operated as officers of the state,” Boonstra said. A spokeswoman for Michigan Attorney General Bill Schuette referred questions to the governor, whose spokeswoman declined to comment. So far, the crisis has led to criminal charges against eight current or former state employees and a Flint water official. As of earlier this month, the state was defending itself against 12 Flint-related lawsuits and had received more than 2,000 notices of intent to sue. Schuette has hinted that charges against higher-ranking officials may follow. He also has sued two water engineering companies for negligence. Boonstra was appointed to the state Court of Appeals by Snyder in 2012 and has subsequently been elected twice. He and three appellate judges also serve on the Court of Claims.